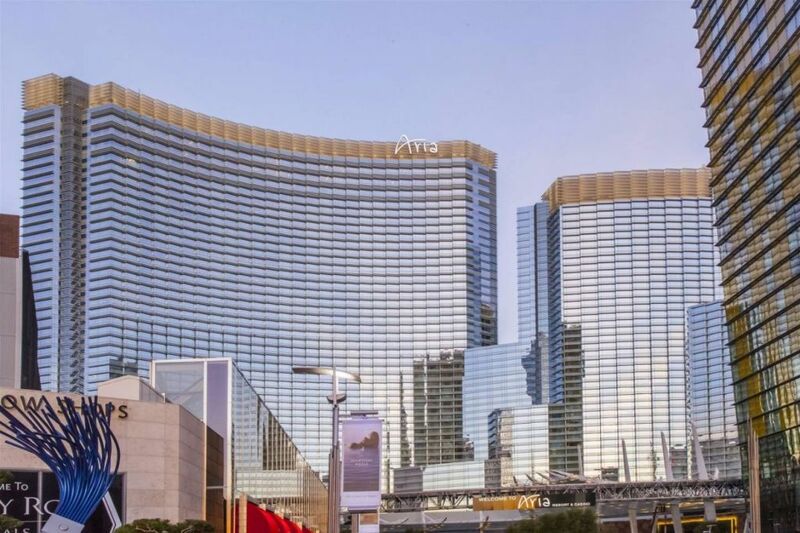 The ARIA Resort & Casino is located within the CityCenter, an unprecedented development on the Las Vegas Strip. 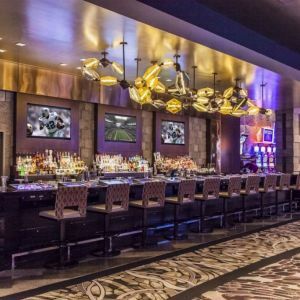 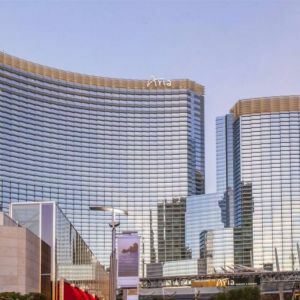 ARIA is home to two distinct AAA Five Diamond hotel experiences: the ARIA Resort & Casino and the ARIA Sky Suites designed by the world-renowned firm Pelli Clarke Pelli. 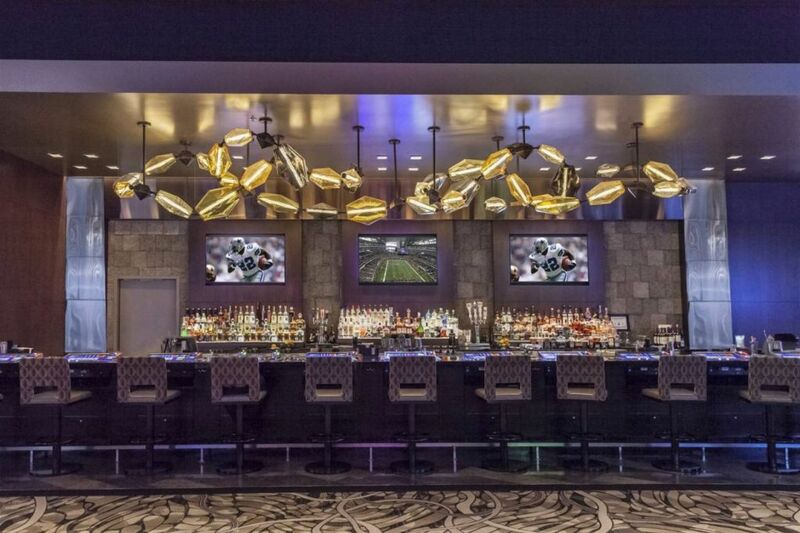 We had the chance to create a chandelier for The Gem Bar, which was named after our gemstone-inspired design. 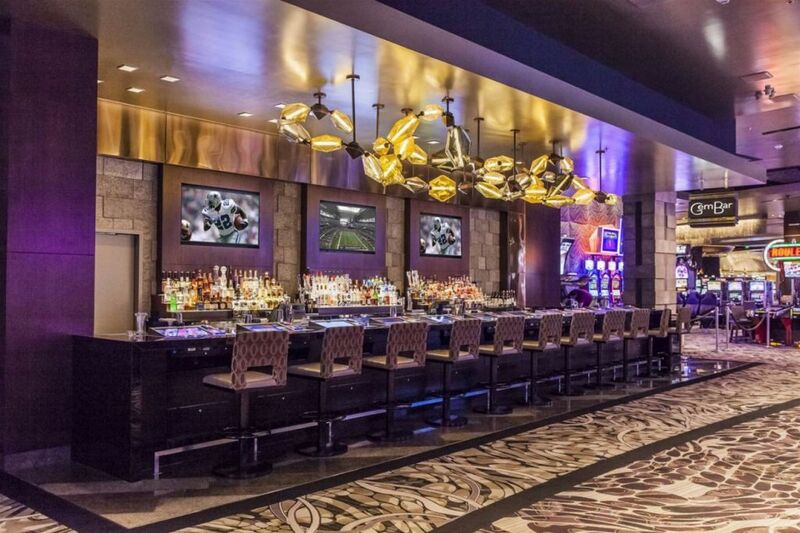 It is located above one of the main bars in the casino and it is visible straight from the valet entrance. 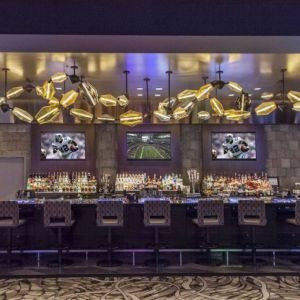 The challenge was to perfectly align the organic metal frame of the fixture with fixing points in the ceiling. 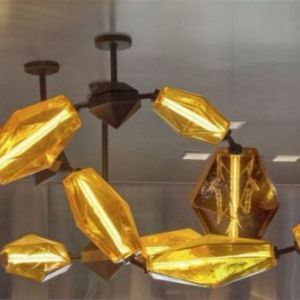 Each glass gemstone was made for a specific position within the fixture in order to achieve the desired look.